When you vacation in Destin Florida, playing on the beach all day is a given, and driving down the beach road with the top down, with beach music blasting, might be a fond memory of beach trips from the past. So, if you aren’t ready to call it a day when the sun goes down, you may be wondering what kind of night life in Destin Florida you can find? 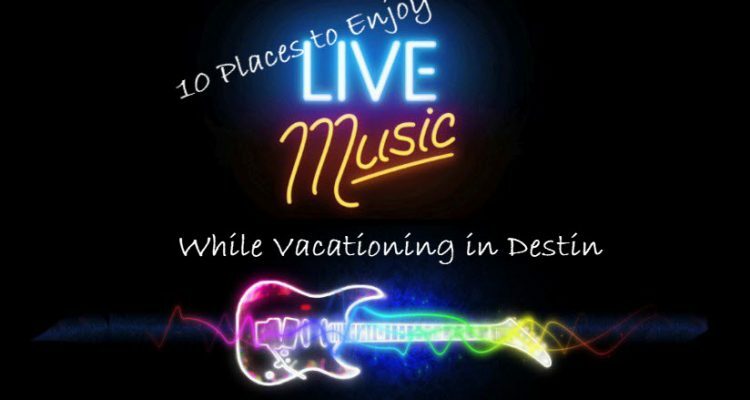 It’s easy to keep the fun going in Destin because they have live music in just about any style, from classic rock to Jimmy Buffet beach music, jazz to blues, and just about everything in between. 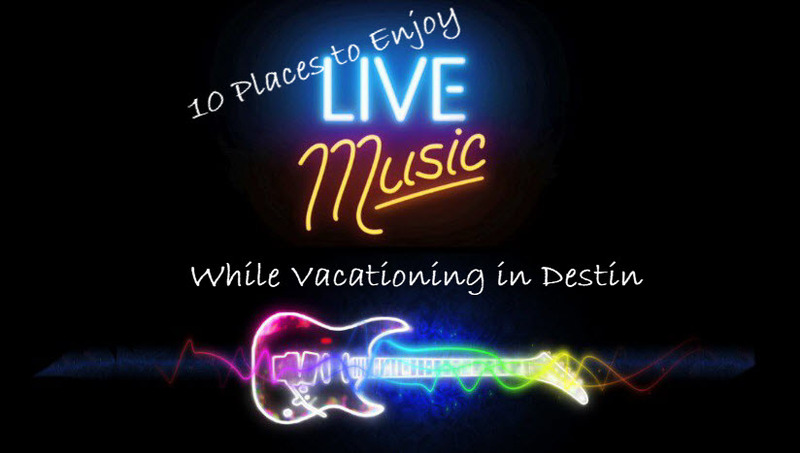 When staying in Destin Florida at Doctors Orders you’ll discover that your beach house rental is close to just about everything, including the live music venues shown below. What better way to end a perfect day? Check out some of our favorites below. Club Bimini, AJ’s venue for live music and drinks, is the place to party in Destin. 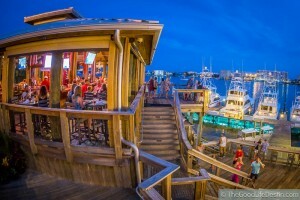 With a huge deck, tiki-hut bar, and a great crowd of tourists and locals mixing in a great atmosphere, well, as they say on their web page, “To read about AJ’s is one thing, to experience it is another.” Beer specials and seafood baskets, great music, beautiful sunsets are all part of the package. Come early and stay late. You’re on vacation! So sip your drink and watch, or get out on the floor! 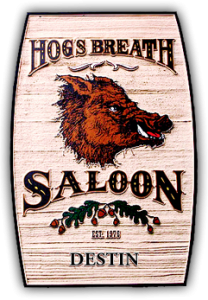 “Hog’s breath is better than no breath at all.” Can’t argue with that. But The Hog’s Breath Saloon is an Emerald Coast favorite for some reason. It might be the two stages with live bands. Might be the great food and drink. Or it might be all of the above. A Destin favorite for more than 30 years, the Hog’s Breath Saloon has an ever changing menu and a pleasant variety of music, from Blues to Jazz with a bit of acoustic thrown in just to keep things mellow. And when you choose Doctors Orders Beach House as your vacation rental, you might be looking for a little mellow at the end of the day. Like many beachfront bars, you’ll see the inevitable surfboards, brass rails, neon signs and the nightly pool games. But Hog’s Breath is more than that. The bacon-wrapped meatloaf is just as popular as the seafood, and the beer is cold. If you’d rather have oysters, the oysters are …well, they’re oysters. What can I say? Its all to the tune of classic rock, or maybe a touch of island music, and it’s just about 15 minutes from your beach house rental at Doctors Orders, so why not? During your Beach House rental at Doctors Orders, if you love sushi, seafood, and live music, you will love Harbor Docks. Our “Breakfast in Destin” blog mentioned the breakfast here, but this is also one of the best venues on the beach for live music. They’ve been in business since 1979, and they have their own fresh market, therefore you simply cannot find fresher seafood when staying in Destin, Florida, on the Emerald Coast. Not only do they have outstanding seafood and sushi, Harbor Docks is one of the best venues in town for live music, showcasing local talent in addition to names like Corey Smith and Edwin McCain. 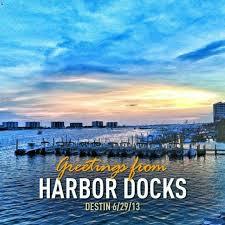 They really do go out of their way to welcome you to the Harbor Docks family when you vacation in Destin, Florida. We don’t know what their secret is, but they were voted as “BestInDestin” for their Crab Cakes in 2015, 2016, and 2017. Pretty impressive, since they just opened in 2014. Kids love the place and these twins from Costa Rica work to make sure everyone feels welcome. The décor is unique, the menu is eclectic, while the music never fits into just one little box for very long. 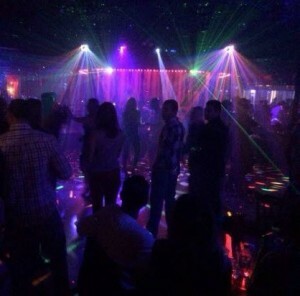 They host Latin Night, Reggae Night, Hip Hop Night, Euro Night, and live music of every type Friday, Saturday, and Saturday, so there is no need to be reserved and self-conscious here. Get on the floor and dance! Gotta go dancing at least once during your beach house rental at Doctors Orders! Rock, piano bar music, blues, jazz. You never know just what to expect, but always expect some of the best local musicians on the Emerald Coast to show up here. Funky Blues Shack offers exceptional Italian cuisine and fresh seafood overlaid with some nice jazzy background music in the Graffiti Restaurant end of the business. Local artists produced most of the custom made décor and you can contribute your own artistic talents by leaving them your own menu cover design. The friendly atmosphere in the restaurant is perfect for your family or rental group, and the menu will make everyone happy when you vacation in Destin Florida. 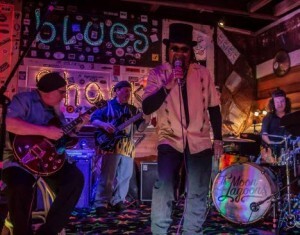 Now add to this mental image the Funky Blues Shack. This is a great place to enjoy local bands (live of course) including Donny Sundal and Forrest Williams, Continuum, Post Pluto, and many others as you indulge your taste buds with some of their extra special fried green tomatoes. 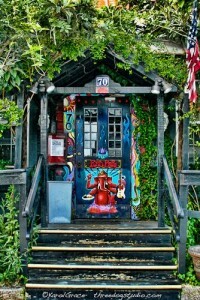 Club LA is Destin’s only music venue devoted to original rock music. While the club is known to hire entertainment ranging from DJ’s to Dixieland Country, rock is what they do best. Megastar groups including Chevelle, Everclear, and Alien Ant Farm have taken the stage at Club LA, while regional acts from rock to reggae regularly put on high octane shows. Make sure to check Club LA’s event schedule before heading to town, as tickets go quick for many of the concerts featuring popular touring acts! 18.8 miles from Doctors Orders. If you just want to go hang out with friends at one of the most laid restaurant/bar venues in the area, here’s just the spot. It’s either a beach shack that’s a nightclub, or its a jazz lounge. Maybe it’s all three. There are two dining areas with the Red Bar connecting them so the drinks and the food and the music flow smoothly all evening. If you love gumbo, try theirs, served in a bread bowl. It’s the best. The Red Bar Jazz Band plays Tuesday thru Sunday from 6 to 11 pm. Parking can be a challenge, therefore its always best to come early. Dread Clampett, a top local band, gets the dancers on their feet from noon to 3 pm and 7 to 11 pm on Sunday during your beach house stay at Doctors Orders. About 6 miles from Doctors Orders. How many ways can you prepare and serve oysters? Boshamps can show you at least six, including raw, fried and baked four different ways. So if you don’t love the raw oyster experience, you may want to try the Oysters Boshamps during your Destin vacation rental at Doctors Orders. Baked oysters, with caramelized Vidalia onion, Alabama Feta, and bacon marmalade. While there, enjoy the band Continuum. 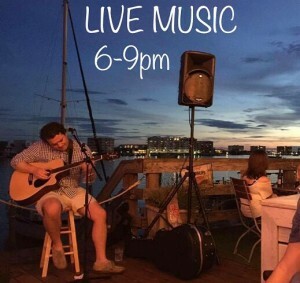 Performing live every sunny Sunday afternoon from 3 p.m. – 6 p.m. on the outdoor deck, overlooking Destin Harbor. 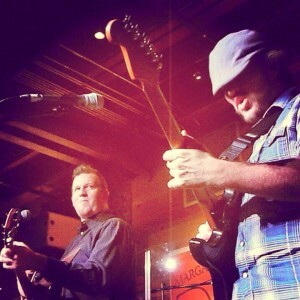 Live band Friday and Saturday night from 7 to 10 pm. 2.5 miles away when you choose Doctors Orders Beach House as your vacation rental. at the foot of the Mid-Bay Bridge. You most likely passed this one on the way across the main bridge to your beach house rental. 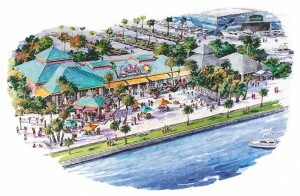 Lulu’s Destin has live music every night of the week because Lucy Buffett knows a thing or two about good music and that laid back island vibe. She even provides a water shuttle for boats and a beach for the kids, where they can play on the Jellyfish Jumper. An American style beer garden, The Other End has 16 taps ready to serve some very interesting beers. If you like to experiment with some different flavors and types, this is the place. The same is true if you want to try some unusual wines. Their wine menu is not huge, but it takes in a lot of varieties you may not find elsewhere, including Stella Bella Skuttlebutt and Hakutsuru Sake. It’s a great outdoor venue. You can sit on the deck or at a picnic table, listen to some live music, and feel very much like a local. If you prefer to feel like a tourist, they’ll even let you do that while you are enjoying your Destin vacation rental. You’re not likely to hear an oompah band, but on this side of the water, this is a great alternative to the typical tourist bar. And we must admit, it does have a bit of that biergarten feel. You might not forget you’re staying in Destin Florida though.